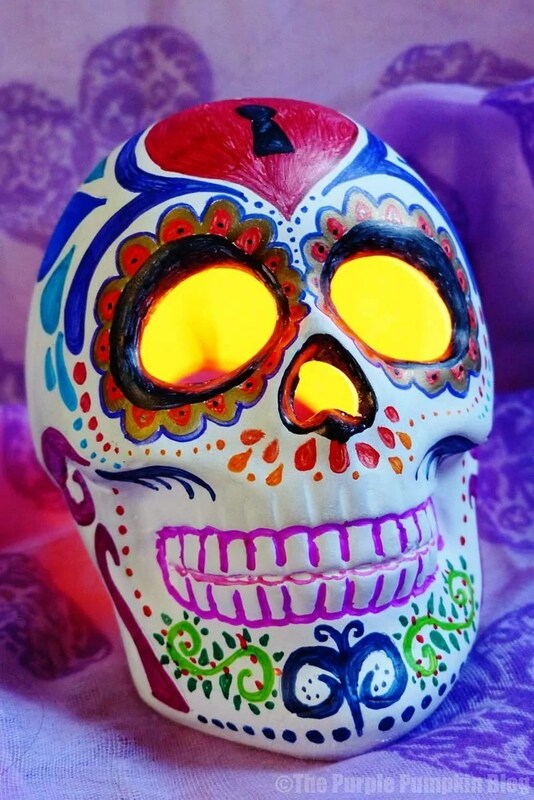 The Day of the Dead (Día de los Muertos) is a Mexican holiday celebrated throughout Mexico, and acknowledged around the world in other cultures. The holiday focuses on gatherings of family and friends to pray for and remember friends and family members who have died, and help support their spiritual journey. I’ve been meaning to do a Día de los Muertos craft for a few years now, but have always run out of time. However, I was a little bit more organised this year. 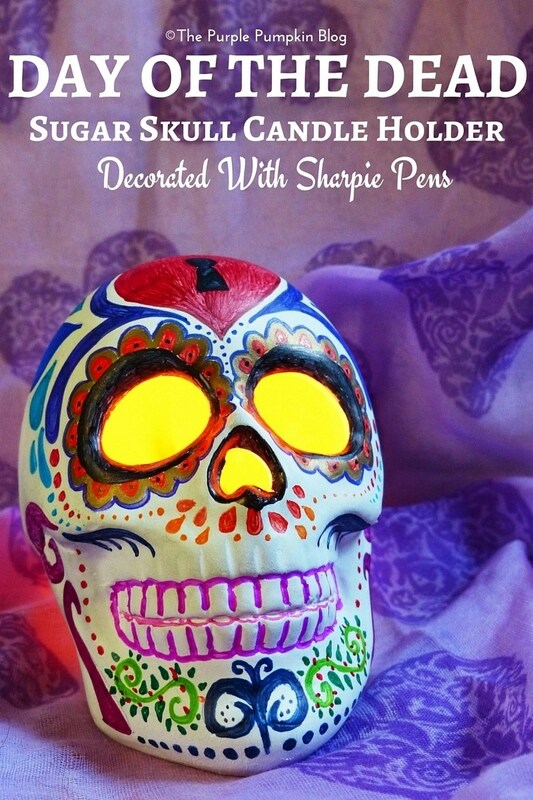 I bought a ceramic skull candle holder from the craft shop and used Sharpie pens to decorate it to make a sugar skull. I used online inspiration to decorate my skull – a quick search brings up lots of ideas! Sketch out your design in pencil first – go softly so as not to leave too much of a mark, but enough to give you a guide. Mark over the sketched design with Sharpie pens. You may find, that they stop working after a while on the ceramic (at least, that is what I found) but a little break of using the same colour was fine. Pop a tea light candle in, and light up. All done!